SUPERB air-conditioned, 4 bedrooms, newly renovated, WATERFRONT cottage which sleeps 8. Free WiFi. Linen supplied $10pp. 2 bathrooms. A large level grassy garden leads down to the lakes edge, where it is good swimming for children, splendid fishing, sailing, boating, kayaking, canoeing, prawning, cycling and windsurfing. Walk to golf, Country Club, parks and restaurants/cafes/bakeries. Prolific wildlife: kangaroos, possums and many species of birds visit our garden. 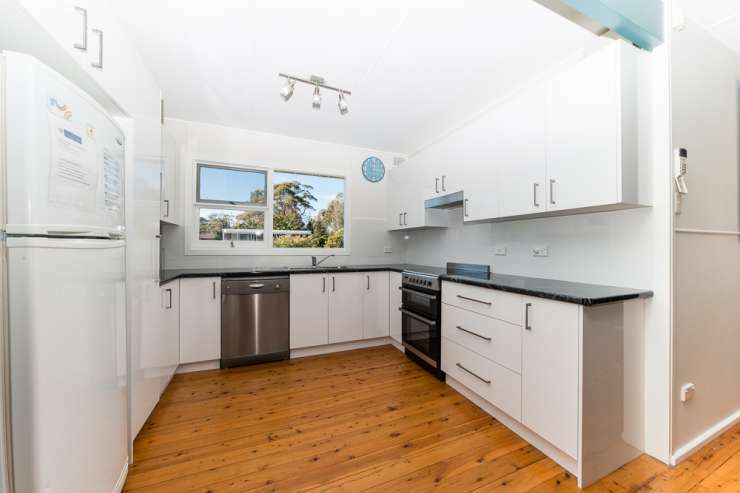 Close to the magnificent beaches of the Jervis Bay Marine Park, Hyams Beach, village of Huskisson, walking and cycle tracks. The cottage has the added advantage that there are no other residents - you have the whole property to yourselves. You have PRIVACY. 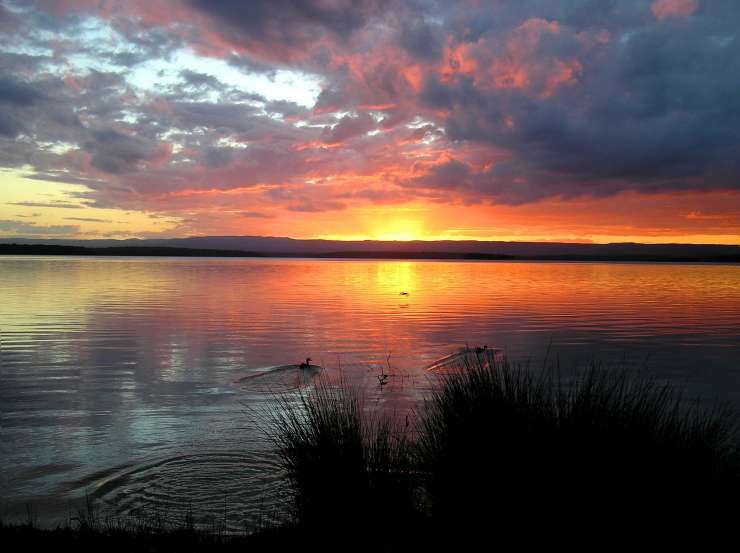 The rear verandah faces west, overlooking the lake - an ideal spot to watch the spectacular SUNSETS. A garden setting is provided. What a great outlook to enjoy a BBQ! and $640 to $1380 per 2 nights weekend depending on time of year. Christmas Holidays there is also a 7 nights minimum stay with a price of $690 per night. Long Weekends Minimum Stay 3 nights. All other times Minimum Stay 2 nights. The master bedroom has a queen ; the 2nd has 2S and the downstairs 3rd bdr is an ideal second living area (1Q+1S). The 4th bdr has 1S. These are not air conditioned. Two bathrooms. 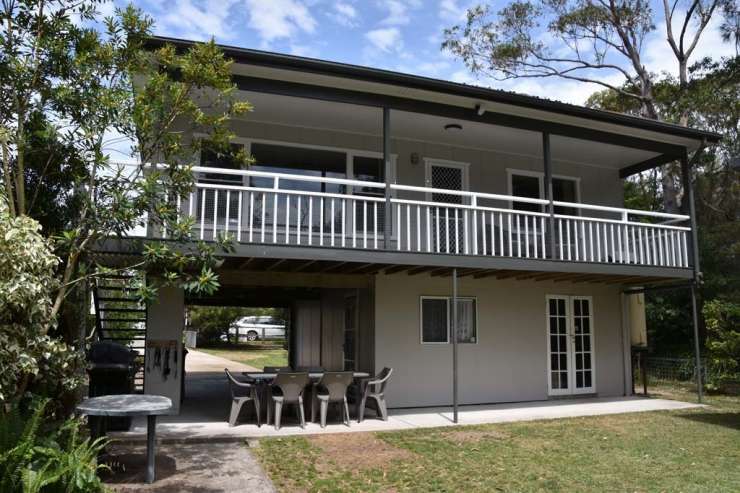 Close to many other amenities - restaurants, Country Club, golf courses, tennis courts, boat hire, national and marine parks, fishing & diving charters, whale and dolphin cruises, wineries, air and naval museums and Shoalhaven Zoo. 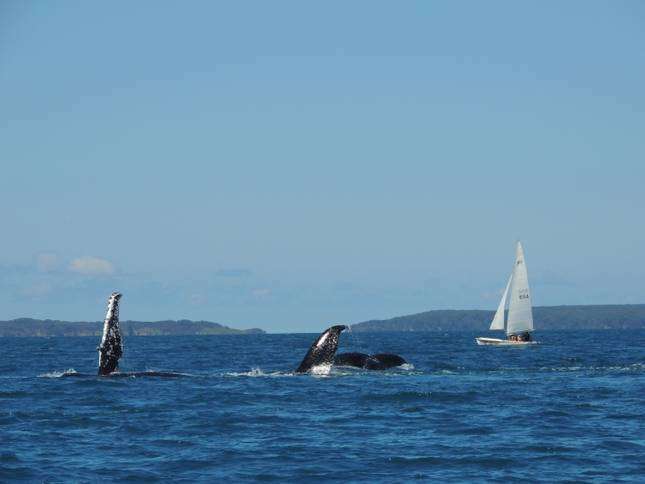 Your stay includes a 20% DISCOUNT VOUCHER on whale/dolphin cruises. MINIMUM 2 night stay. LINEN BYO or supplied for $10pp. PETS welcome. Location 30 minutes south of Nowra on the shores of the clear sandy waters of the pristine, salt water lake, of St Georges Basin and only 7 minutes to the spectacular JERVIS BAY Marine Park. 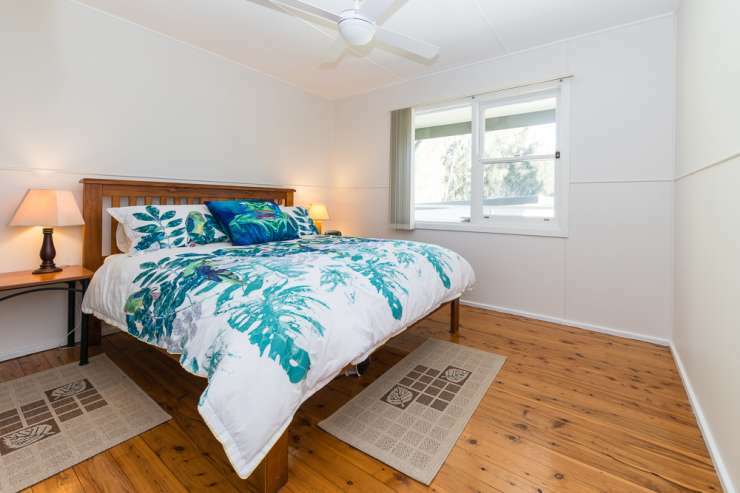 Close to the village of Huskisson and the famous Hyams Beach. 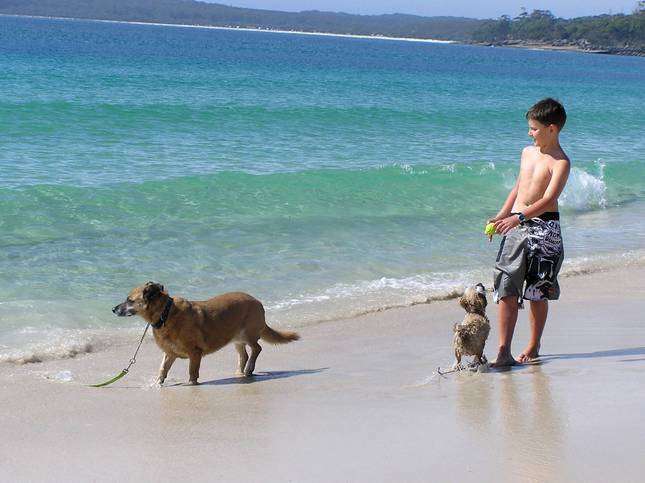 Local Attractions: swimming, kayaking, boating, fishing, sailing, surfing, kite surfing, snorkelling, diving, cruises - dolphin/whale/seal, cycle-ways, golf courses, museums, bird watching, Nat Parks, Country Club, scrumptious restaurants, galleries, Shoalhaven Zoo and the pristine Jervis Bay Marine Park with it's beautiful beaches, walking/cycling tracks and picnic areas.